Belfast News Belfast Harbour Madness? 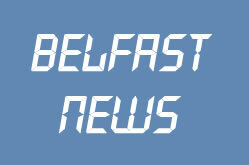 Belfast News: Belfast Harbour Madness? With all hands on deck in East Belfast just a matter of weeks ago, fearful that the River Connswater would burst its banks destroying properties and causing widespread havoc, Belfast Harbour has announced plans to reclaim a substantial amount of land. With politicians lining up to be photographed beside the hard pressed residents in Sydenham, where are their well rehearsed commentaries on why reclaiming this land could spell catastrophe. Only in Ireland, Northern Ireland, could it follow that having missed massive flooding by the skin of our teeth, that its OK, it will be safe enough to remove the space the water occupied. Does it not follow that next time we have the same conditions, bearing in mind rising sea levels, that with less space for the water to occupy it will simply flow over the banks? Your assessment as part of the project, as to how many homes will now be in danger at high tides and in circumstances that arose just days before your announcement? Reply: no such assessment has been (or is required to have been) undertaken. Disclose your legal advice covering new dangers to residents close to the lough and Belfast Rivers? Reply: no such advice has been taken. Is it not frightening that despite the real dangers to property and people that no risk assessment has been carried out by a public body, a body that is proposing land reclaim for the purposes of port related operations. This project has already spent over �100,000 and Belfast Harbour intend to spend a further �27,480,000 on the project but stress that the project is at a very early stage and state that this estimate can only be considered very approximate. So, are we looking at �30 million or �40 million well as their preliminary assessment was carried out over 2 years ago, who knows? One thing I do know if I lived in East Belfast's Sydenham area I would becoming vocal about now, objecting to the planning application, lobbying politicians and seeking legal advice on whether Belfast Harbour is liable for flood damages!